Sometimes it's hard to keep track of all the "car stuff". I mean, sure, there's a glove compartment for that kind of stuff, but let's face it: us women have plenty of other things to put in there as well. I found a solution for keeping all the car information organized and easily accessible (while still leaving room for all that other stuff). Check it out! Love it! That is so creative!! This is a great ideas! Very helpful. Thank you. Just put this in my new car today. 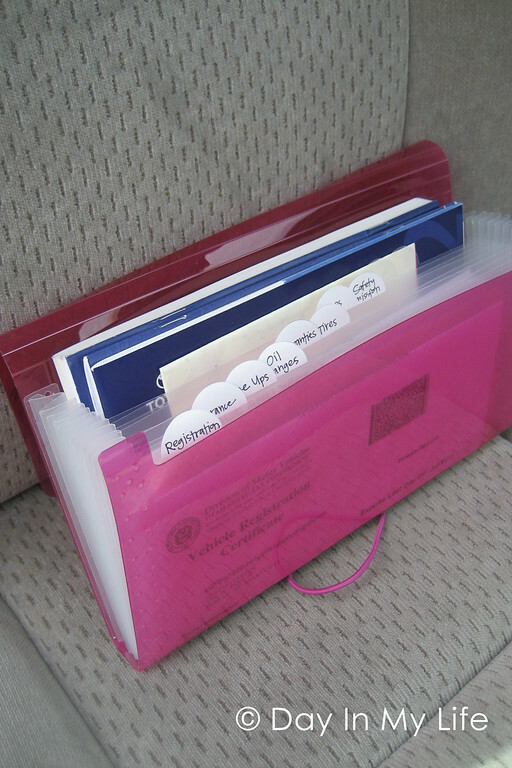 Love that it keeps all my important paper safe and neat. I've been getting so many spam comments lately, I've decided to disable "anonymous commenting" for a while. Sorry for any difficulty! © 2008–2012 tiffkeetch.blogspot.com. All rights reserved. No content on this site, including text and photos, may be reused in any fashion without written permission.